We are delighted to offer an alterations service for wedding, prom and bridesmaid dresses not purchased from the boutique. Please be aware that this service is not available for any other garments. Fitting appointments are held on a Tuesday evening only with Emma personally. 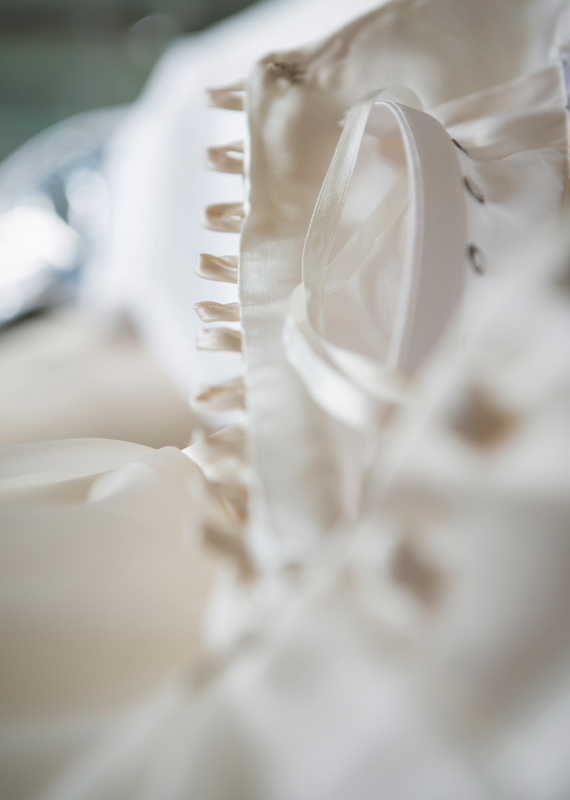 Brides are requested to bring their underwear, shoes and accessories. Additional guests are limited to 1 person only, this is to prevent distractions during this important fitting. There is a £60 minimum fitting charge included in the cost of any alteration. This charge covers 2 x half-hour fittings. Quotes for alterations are free and without obligation, upon acceptance the total price falls due for payment in full before any work is undertaken.